When is a chair more than a chair? What good is a graduated cylinder outside of a science lab? Using objects is a great way to build stories in museums. They are part of what separates museums from textbooks and non-fiction writing; they give visitors something tangible to look at and connect to when they visit a site. It’s amazing to think about how much you can learn from every-day items that have incredible stories. Ordinary objects can be given meaning in many ways. Sometimes the people who used them make them more interesting, or they can help link people to places and different points in time. 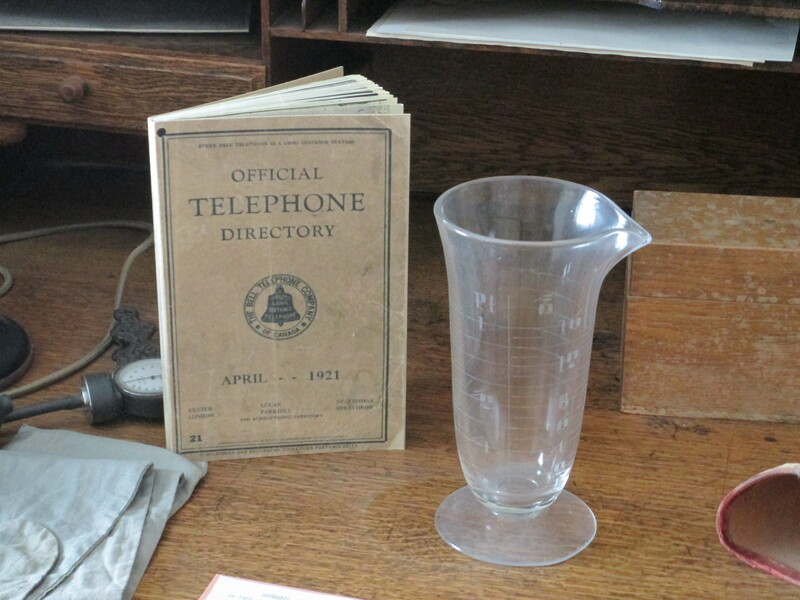 For example, at Banting House National Historic Site of Canada, there is a graduated cylinder on display that was used by Dr. Banting while he was working at Western University as a demonstrator in Surgery and Anatomy. It helps us to link Dr. Banting to his time in London, and in some ways reminds us that he was using the same sorts of tools for his work as any other person involved with science. Dr. Banting’s graduated cylinder on display at Banting House NHSC. The graduated cylinder was given by Dr. Banting to Dr. Crane in 1921. Crane worked at Western, and was involved in teaching and research. The graduated cylinder was donated to Banting House NHSC in 2010 from the UWO Medical Artifacts Collection. There are many measuring tools that are very similar to this one in science labs around the world, but it becomes significant to us because of the context it was used in. 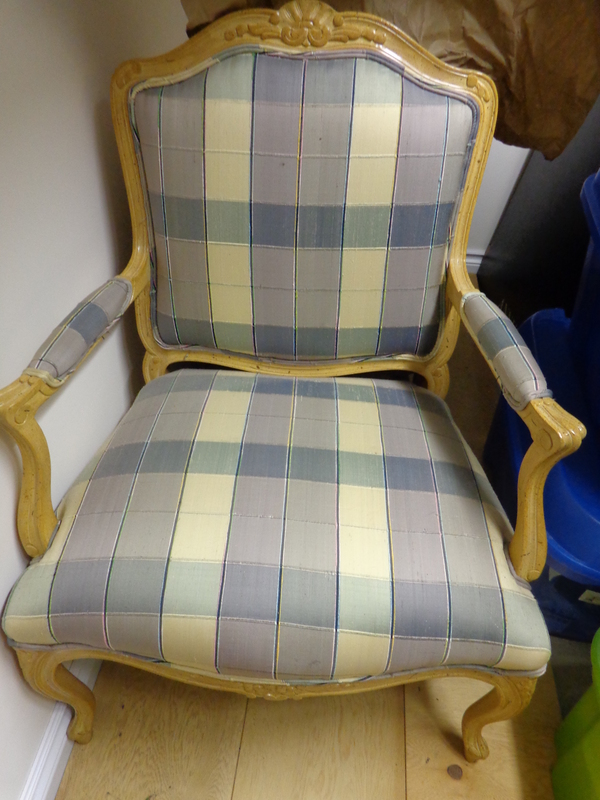 Another object at Banting House NHSC that most people wouldn’t take a second glance at is the chair Her Majesty Queen Elizabeth The Queen Mother used when she visited Banting House in 1989. While it is a nice-looking chair, it wouldn’t be considered as memorable if she had not been the one using it. After she had unveiled the statue of Sir Frederick G. Banting in the Square and lit the Flame of Hope, she held a reception where she used the chair. The staff at Banting House and the Canadian Diabetes Association only had 90 days to plan for the Queen’s arrival, and there were worries that they would not be able to pull everything together on time. However, the event was a success, and it left behind not only the monuments in the Sir Frederick G. Banting Square, but also a set of objects that help to enhance the story from that day. The chair Her Majesty Queen Elizabeth The Queen Mother used on her visit to Banting House NHSC. Every object at Banting House NHSC has its own story, whether it’s Banting’s Military Cross or the desk that was in his London office. These objects allow us to share the story of Sir Frederick Banting’s life and experiences, and remind us that he used common objects just like everyone else. While we can’t display all of the items in the collection, we can let some of the objects help to share Banting’s story and explain why this site and the objects in it are still important. We can use common objects to help visitors feel more connected to Banting and his work, along with building an appreciation for the objects themselves. Without objects like these, Banting House would not be able to share its rich history and inspiring stories. This post was written by Taryn Dewar, Graduate Research Assistant at Banting House NHSC. Taryn is a Masters candidate in the Public History program at Western University. Posted in Uncategorized.Tagged Artifacts, Banting House NHSC, Collection, London, Sir Frederick G. Banting Square.